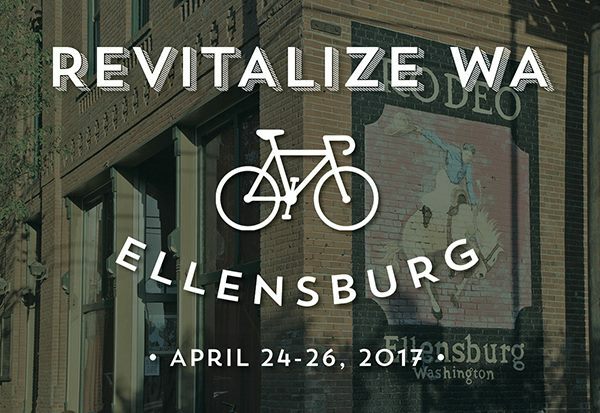 Downtown Ellensburg was this year’s host location for the RevitalizeWA conference (more on the conference HERE). 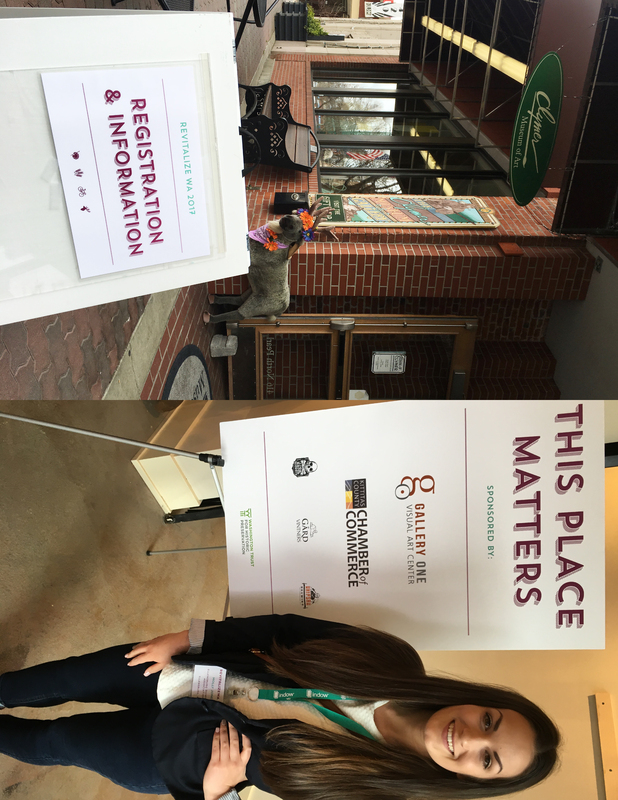 If you noticed about 280 people with green lanyards walking around downtown earlier this week, that was RevitalizeWA. This was my second time attending the conference since joining the EDA, the first being in downtown Chelan in 2016. Let me tell you, hosting a conference and attending a conference are two totally different things, but that is for another time. 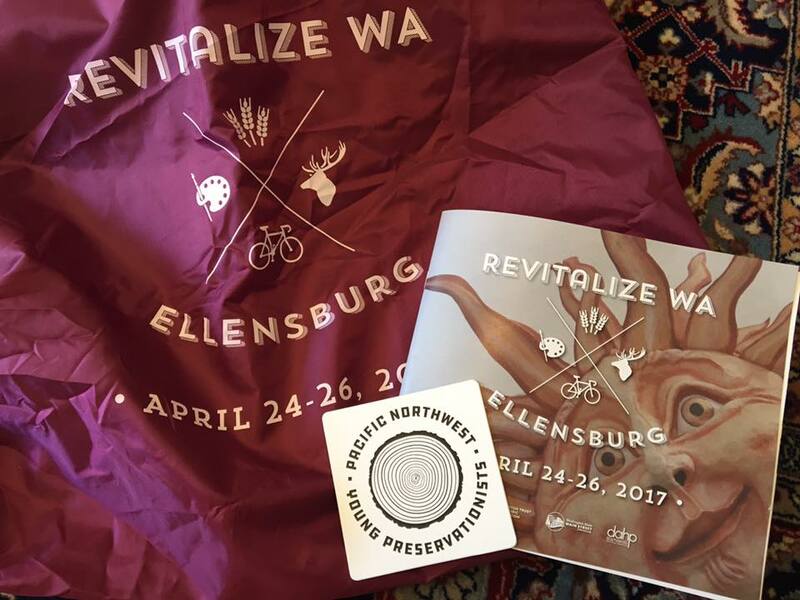 Let’s get into the Ellensburg conference experience! The conference kicked off at the Liberty Theater with keynote speaker Bernice Radle on Monday afternoon. Bernice is the owner of Buffalove Development in Buffalo, New York. If anyone is an HGTV junkie like me, they did a show surrounding her work called American Rehab Buffalo. Also in attendance was the Mayor of Ellensburg, Rich Elliot, Senator Judy Warnick, Representative Matt Manweller, Executive Director for the Washington Trust for Historic Preservation, Chris Moore, and State Historic Preservation Officer, Allyson Brookes. 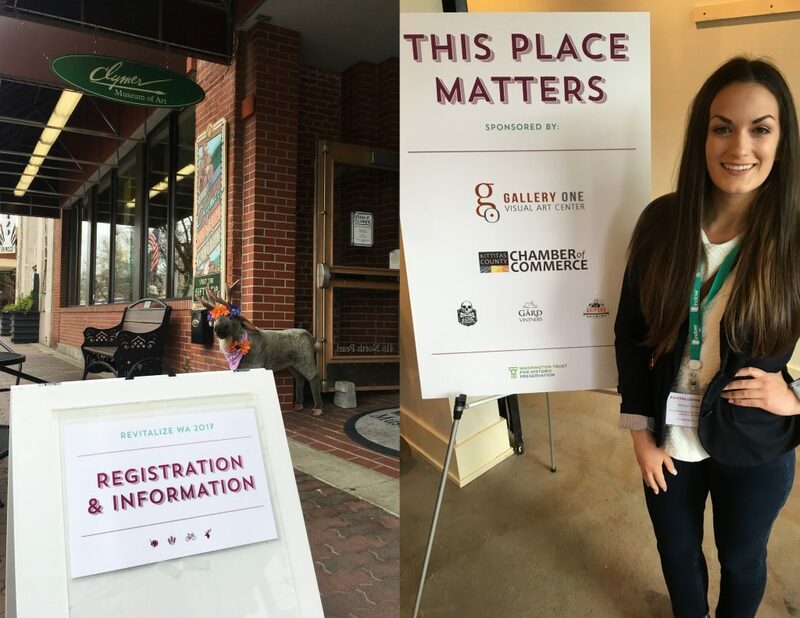 Following the opening plenary was the This Place Matters reception at Gallery One. This is the first social event of the conference when attendees get to eat, drink, and shake hands. Tuesday was a day full of sessions in Gallery One, Ellensburg Events Hall, Fitterer’s Furniture, Elks Grand Ballroom, Dakota Café, and the Kittitas County Historical Museum. Additional conference attractions included an Ellensburg bike tour led by The ReCycle Shop, morning yoga classes in the 420 Loft, an upper county tour, a downtown upstairs tour, a downtown tour led by Mr. McCloskey’s 6th grade class from Morgan Middle School, a Young Preservationists Pub Crawl, and some attendees took it upon themselves to hike Manastash Ridge! When in Ellensburg, do as the Ellensburgians do. Wrapping up the second day of the conference was the Excellence on Main Awards in the Elks Grand Ballroom. This is by far my favorite part of the conference. This is when organizations from across the state are recognized for their hard work. Dale and Susan Sherman, owners of the Kleinburg Building in downtown Ellensburg, took home the Visual Impact award. Wednesday was when it all wrapped up and our guests headed back to their individual communities with new ideas, motivation, and fond memories from their time spent in Ellensburg. I love a good quote. Nothing sticks with me like a few good words strung together. I thought I’d share a couple from the conference that may leave you feeling inspired, too. 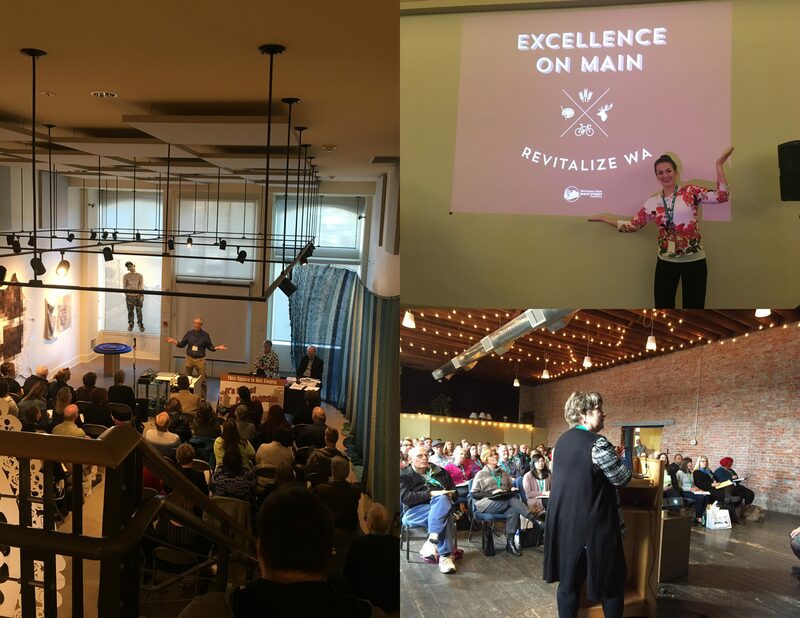 “Positive change has a domino effect.” -Mari Mullen, Executive Director of the Port Townsend Main Street Program. “How you present your ideas matters.” –Luke Hallowell, Downtown Pasco Development Authority. “I don’t mind being told no. To me, ‘no’ is a later ‘maybe.’” –Kari Anderson, Incite! Consulting Group. “Whatever the project is, go ALL IN.” –Bernice Radle, Buffalove Development. This summed up the entire conference experience for me. I’ve grown so much since entering the working world post-college in 2015, but events like this remind me that there is still so much to learn! I can’t wait to implement these new ideas and continue to move this community forward while honoring its past. Thanks for the memories, RevitalizeWA!